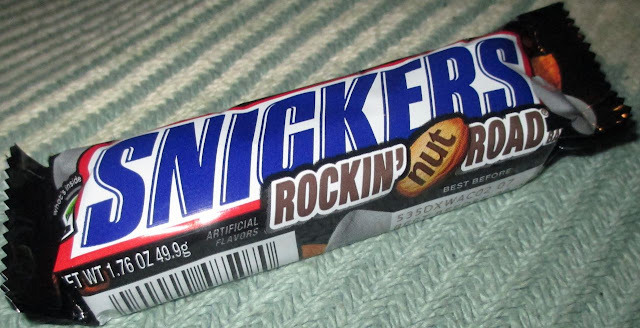 I already wrote about the fantastic Birthday Cake Flipz that we picked up from Gobstoppers in the Birmingham Bullring, but while we were there we also purchased a couple of imported Rockin Nut Road Dark Snickers. This bar appealed to me because of its promise of textures, and it delivered. I love a mix of textures, soft and crunchy mixed together it just something that works for me, and this bar had it all. The bar is like a Snickers except for three changes; there is dark chocolate instead of milk chocolate, the bar contains almonds in the caramel and the major change is the soft nougat is actually a firm dense marshmallow! Such fun! I know the picture doesn’t show any almonds but there were plenty, I just managed to catch the photograph at an odd point. The bar was perfect for me, I immediately loved the changes in texture with every bite. The almonds were crunchy, like they’d been toasted and the caramel wonderfully gooey. 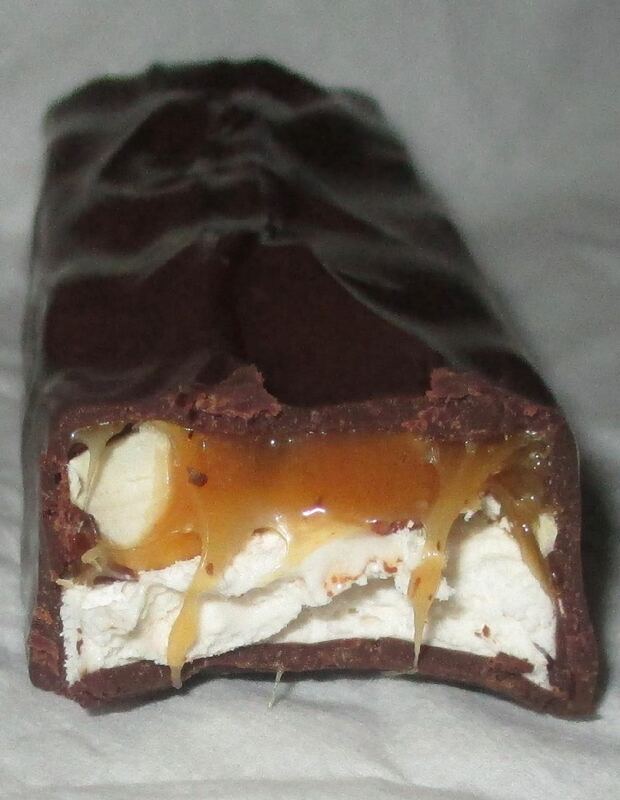 The marshmallow was full of vanilla flavour, and the soft but firm nature of it really added to the bar. I liked the darker chocolate with the lighter flavour of the marshmallow, the contrast worked well. It was a very tasty bar and I think one that would go down really well here in the UK if it got released. For the minute though I’m reliant on import shops, but a trip to Gobstoppers is never a bad thing! Me too, even thought import chocs are expensive!